Many people who have conventional dentures don’t like to wear them because they don't stay in place. TeethXpress offers a way to keep dentures secure and allows you to go about your daily life with confidence. Conventional dentures are designed to give you the appearance of natural teeth, but not actually replace your natural teeth. You may have noticed that your denture that once fit well now slips constantly and requires costly visits to the dentist for adjustment. That's because every day that you were a denture the bone in your jaw shrinks a little more. Eventually the denture won't fit at all and you will have to replace it. If you have this problem, you already know the embarrassment of slipping dentures, not being able to eat the foods you love, and the problems with messy denture adhesives. TeethXpress is a very different solution. You will still have beautiful natural looking teeth, but now they will also function like natural teeth. The TeethXpress solution secures your denture to surgically placed dental implants so that you can eat, speak and live confidently without the fear of slipping dentures. Every patient is different and patient results may vary. Only a trained clinician can choose the best treatment plan for you. Please ask your Certified TeethXpress Dentist to explain the benefits and risks to determine if the TeethXpress solution is right for you. After you have met with a Certified TeethXpress Dentist near you and created a personalized treatment plan, you will schedule the TeethXpress procedure. During the procedure, 4 to 6 implants are surgically placed into your jaw with abutment posts. Your denture is then secured to the abutment posts with special prosthetic screws. The TeethXpress procedure typically can be completed in one day and can be done under local anesthesia. Your dentist will either use your existing denture or have a denture created prior to the procedure so that you walk out that day with teeth. Discomfort from TeethXpress is usually minor and temporary. Your dentist may prescribe pain relievers for you as needed. 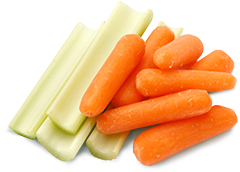 A soft diet will be required during the initial healing phase. After the procedure, the use of a medicated mouth wash is often recommended for two weeks. You will not brush or use a water pick during that time. After two weeks, you can start using a water pick on a slow speed. Follow your doctor's instructions and maintain your dental hygiene to ensure the long-term success of your treatment. A: Dental implants are the standard of care for tooth replacement. 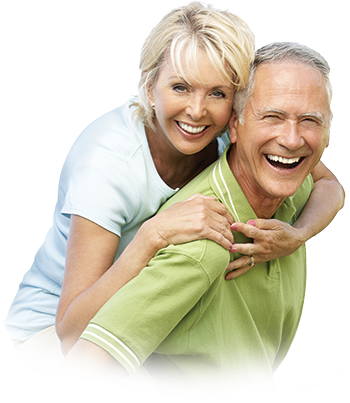 They are bonded with the bone to provide permanent support for crowns and dentures. Q: What happens when wearing a conventional denture? A: Your jawbone begins to shrink from lack of stimulation. Losing your teeth will affect your smile and change the shape of your face, causing you to look prematurely aged. Q: Who is a candidate? A: TeethXpress can be placed in most adults who have lost most or all of their teeth. Please ask your dental implant specialist to explain the benefits and risks to see if TeethXpress is right for you. Q: Is TeethXpress treatment painful? A: No, the procedure is typically done under local anesthesia. Most treatments can be completed in your clinician’s office. Q: How soon may I return to work after treatment? A: You may return to work the next day unless otherwise instructed by your clinician. You may be prescribed medication to alleviate any minor discomfort you may have. Q: How long sill the TeethXpress procedure take? A: The implants can be placed in as little as 30 to 60 minutes depending on the location and the number of implants placed. 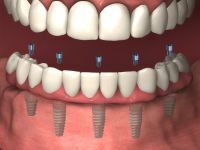 The TeethXpress protocol requires 4 to 6 dental implants be placed to secure your denture. The total procedure will typically require 3 to 4 hours. Ask your Certified TeethXpress Dentists for more complete time estimations. Q: When will I receive my new teeth? 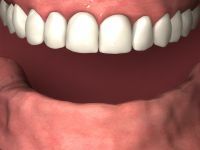 A: TeethXpress is designed as an immediate solution so that you walk out the same day with secure natural looking teeth. Complications may occur that require your dentist to delay securing your denture to the implants, but you will always leave with teeth. Talk to your Certified TeethXpress Dentist about potential complications. Q: How do I care for my new teeth? A: Initially you will only use a mediated mouth rinse prescribed by your TeethXpress dentist. Once your mouth is healed, you will use a waterpick to clean around the implants and under the secured denture. You will also schedule regular follow up visits with your TeethXpress dentist for cleanings. Q: How long will dental implants last? A: Implants can last many years if cared for properly. Many implants have been in place for more than 40 years. Q: What is the success rate of TeethXpress and dental implants? Q: How does the long-term value of TeethXpress compare to other treatment options? A: How does the long-term value of TeethXpress compare to other treatment options? Q: Is TeethXpress covered by insurance? A: Insurance policies vary but most cover a portion of the restorative procedure. Financing options are often available with competitive interest rates, and payments can be tailored to your budget. Dentures supported by dental implants have been successful for hundreds of thousands of people. The number of patients with dental implants is growing rapidly due to their effectiveness, long-term durability and the high success rate.